Maria Pomoni holds a diploma in Civil Engineering from the National Technical University of Athens (NTUA). 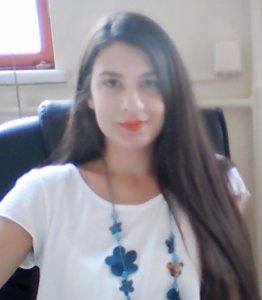 She is a Research Engineer in the Laboratory of Pavement Engineering of NTUA and she is pursuing her Doctoral Thesis, entitled: “Investigation of asphalt pavements surface friction in the framework of sustainable road infrastructures” under the supervision of Dr. Christina Plati. The other members of the Advisory Committee of the Doctoral Thesis are: Dr. Andreas Loizos (Professor, NTUA) and Dr. George Yannis (Professor, NTUA). The External International Research Advisor of the thesis is Dr. Malal Kane (Directeur de Recherche, The French Institute of science and technology for transport, development and networks – IFSTTAR).